Bad news first: regular circuit breakers do not protect your electrical wiring from everything. Usually they protect your home’s wiring only in certain situations, such as when the circuit gets overloaded. Examples of this are when you plug too many electrical appliances in to the same circuit, or if the electrical appliance or home wiring fails and causes a short circuit (when a hot wire gets into contact directly with a neutral wire or a ground wire). This is when a regular breaker trips and disconnects the faulty circuit from a power source, and stops the circuit from heating up and causing a fire. This is a great built-in safety measure of your circuit, but it does not protect the wiring from other things that can happen. In addition, the cumulative effect of overloaded circuits can cause electrical failure to both the electrical infrastructure and/or the breaker itself. Other malfunctions not protected by the breaker include loose wire connections due to poor installation, loose or damaged wiring due to age, old and loose receptacle outlets, wire insulation damaged by age hidden in the walls, internal nails or screws, damage caused by rodents and pests, damaged extension cords, etc. 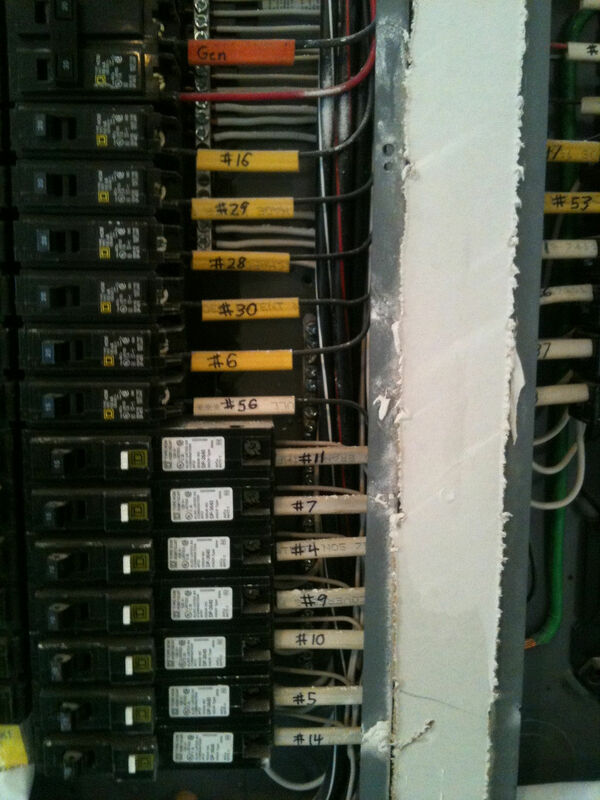 A regular breaker will often not detect electrical sparks caused by these conditions. Don’t worry, there is good news as well! Arc Fault Circuit Interrupter (AFCI) is not a regular breaker. At First Class Electric in Central New Jersey, we like to use the AFCI - Arc Fault Circuit Interrupter for two reasons: they do protect the wiring of the home just like the regular circuit breaker, but they also protect the wiring and prevent the occurrence of fires when the above mentioned conditions occur (loose wiring, age damaged components, etc). According to National Fire Protection Association (NFPA), AFCI breakers could reduce as much as 50% of electrical fires, because the majority of electrical fires in the home are caused by conditions where regular breakers are unable to help. As of 2014, the National Electrical Code requires that AFCI breakers have to be used to protect most areas of the home and therefore covers the majority of the homes wiring. Existing regular breakers can be changed to AFCI breakers relatively easy by a licensed electrician. First Class Electric in Central New Jersey has ample knowledge and experience in this area, and will gladly help you to reduce the risk of fire to your home by implementing AFCI breakers to your new or existing electrical panel. We are currently collecting testimonials from our many satisfied customers. We will shortly share with you what their experience was in this area of the page.